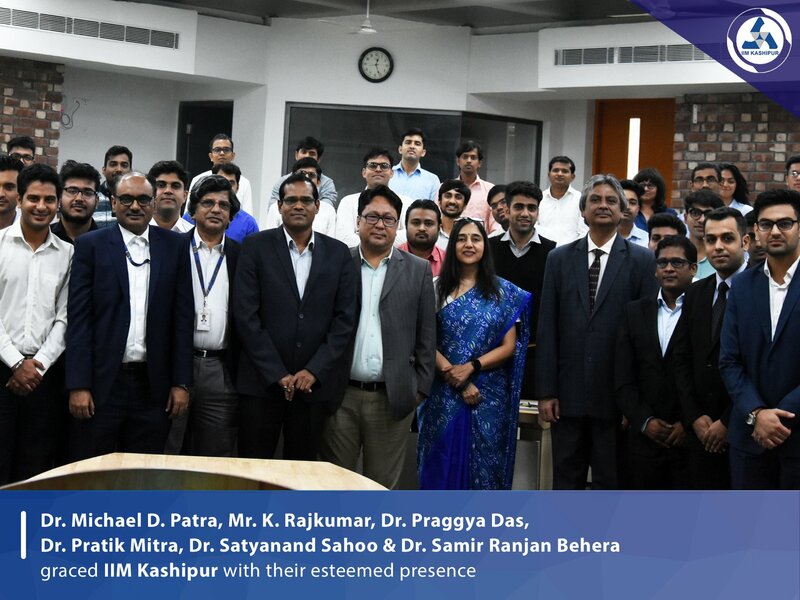 IIM Kashipur is pleased to host the team from Reserve Bank of India comprising of Dr. Michael D. Patra (Executive Director, Member - Monetary Policy Committee), Mr. K. Rajkumar (Advisor, Monetary Policy Department), Dr. Praggya Das (Director, Monetary Policy Department), Dr. Pratik Mitra (Director, Monetary Policy Department), Dr. Satyanand Sahoo (Director, Monetary Policy Department) and Dr. Samir Ranjan Behera (Asst. Advisor, Monetary Policy Department). The team interacted with the students on the topic 'The Role of Monetary Policy against the Recent Developments in the Indian Economy'.